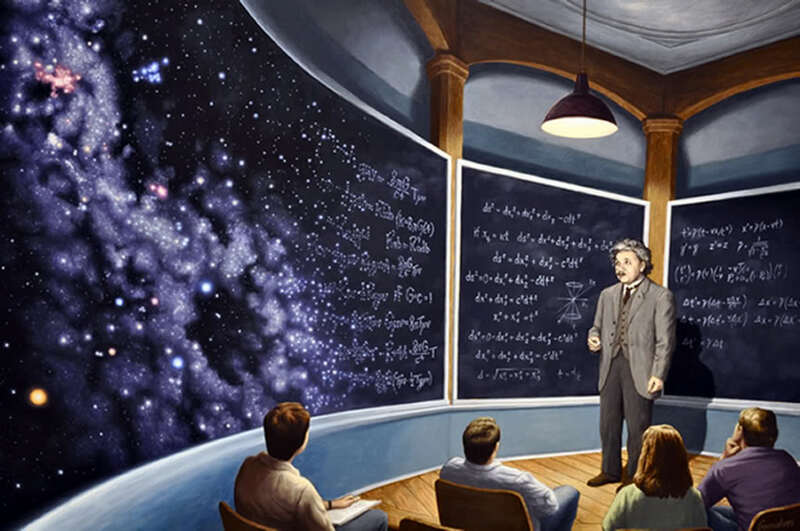 Everything Is Art: Painting of the Day: "Chalkboard Universe"
Our featured Artist for today, Rob Gonsalves, hails from Toronto, Canada, and was born there in 1959. The first thing I thought when I saw his works were "Surrealist", yet, on second look, his works do not quite fit in that movement. He prefers the term "Magic Realism" to describe his paintings, (A term coined by him.) and has been influenced by Magritte and Escher. One of his works, "The Sun Sets Sail" was used as the cover for the "Masters of Deception", released in 2004. He's in all, a brilliant Artist, so do check his blog out.